There aren’t that many bands, or come to think of it, so called “super-groups’ with the pedigree of Transatlantic. A fully-fledged band despite all members having day jobs, Transatlantic are fully fledged members of the prog fraternity. All have bought in with their heart and soul to the modern masters making prog accessible and de rigueur! It’s been 5 years since the single-track album that was The Whirlwind. That does not mean that Kaleidoscope is any less epic. To be honest it doesn’t matter if a son is 2 minutes or 32 minutes in length, as long as it’s a good one (we have the last track weighing in at almost 32). Despite the guys all having other day jobs its great that they still want to get together to make great music. Despite a hiatus when Morse left SB to find God, it’s a band that has vowed to continue to make music as long as time allows. These 4 lads are probably some of the hardest working guys in the musical world. Its been the continued partnership of Morse and Portnoy that led them back together for The Whirlwind. 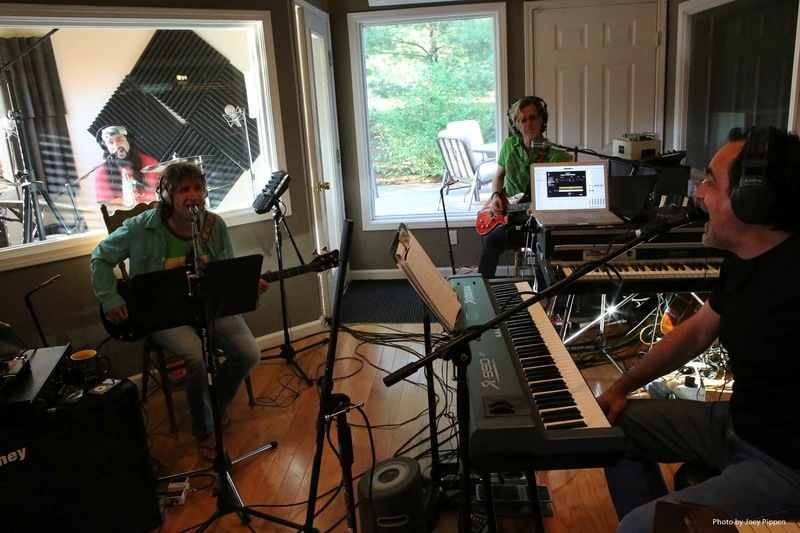 The prog world would have a hole in it if these four were not to record together. All are great in their own individual parts, but there’s a definite spark when the are together as Transatlantic. 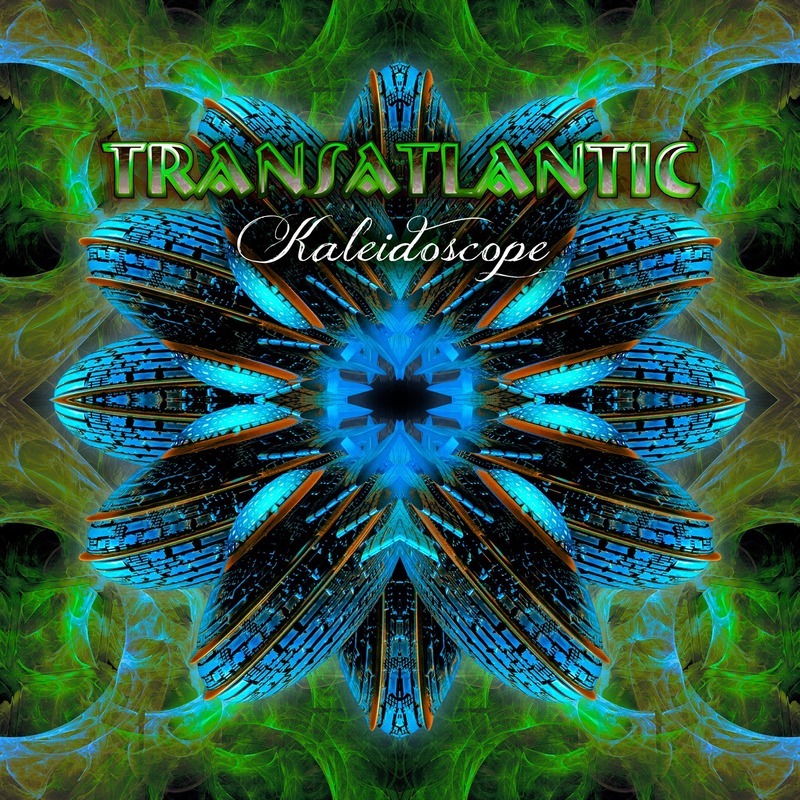 Only Shine on the new album was written outside of Transatlantic. Morse wrote this before his excellent Momentum album was released and it screamed to him of Transatlantic. This aside, the rest come together purely as their songs and not leftovers from their main bands work. It’s a mere 5 songs in total, with three shorts songs sandwiched in-between 2 epic length tracks. Opener, ‘Into The Blue’ is a mere 25mins long and takes you on a long journey with the music rising, falling, and rising again continuously throughout the whole piece. Daniel Gildenlow of Pain Of Salvation makes a very welcome cameo ¾ thru. Lyrically it references St Paul’s writings, but it’s not per se religious and in your face. 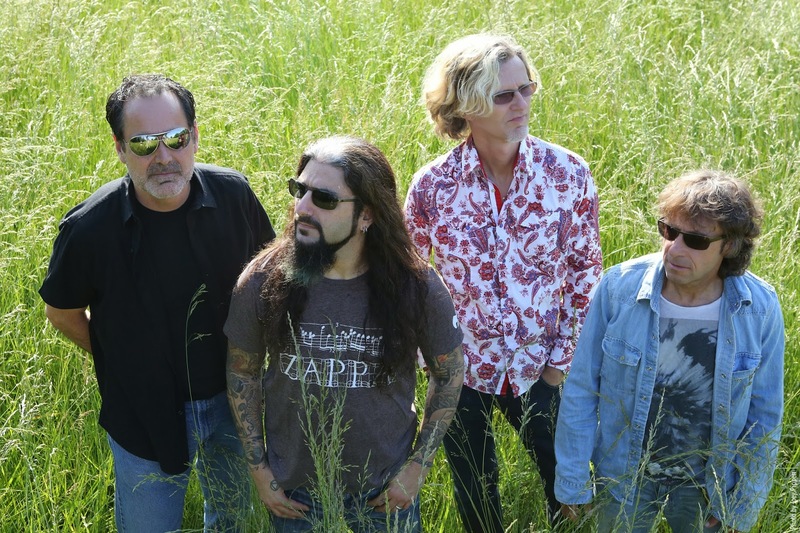 “Shine’ was the pre launch track that is a Neal Morse gem, and is as close as Transatlantic come to being commercial as they dare, and even at 7 mins it just speeds along, and a special mention to Roine Stolt’s wonderful guitar playing. ‘Black As The Sky’ is Transatlantics upbeat track with more than a passing nod given to Yes in their heyday, with a touch of Dream Theater thrown in for added measure, and is a heavy a song as they have ever performed as Transatlantic. ‘Beyond The Sun’ brings Rich Mouser in on pedal steel guitar, and it is an emotional ballad, with a continuum brining an added haunting feel to proceedings. Title track ‘Kaleidoscope’ is typical of then, with an instrumental beginning, and reminds me of Spock's Beard's lengthy and fine opuses. Stolt takes over vocal duties in the middle section before vocals depart and the music entwines its crescendo for the final 9 minutes and it really is a monumental and epic track. Very few bands have the capacity or audacity to perform songs in the true vein of progressive rock. Thankfully Transatlantic do, and their sheer class turn it into an Olympic event. Everything is thrown at the audience, but not just for pompousness, all is being done for good reason, to take you of a wondrous and fantastic aural journey. Kaleidoscope is aptly named, as it brings together the rich colours that are the 4 guys individual personalities, background and influences, and entwine all this into a sonic tapestry, and it makes for a very unique band and listening experience. Existing fans will lap this gem up in droves. Its definitely worth the added money for the 3 disc Deluxe set which includes a DVD, and covers by the likes of Yes, ELO, Focus, King Crimson, Procul Harum, Elton John and The Moody Blues.